Based on the Transformers franchise with a whole new set of casts, “Transformers: Age of Extinction” is one of the films to watch for this year. 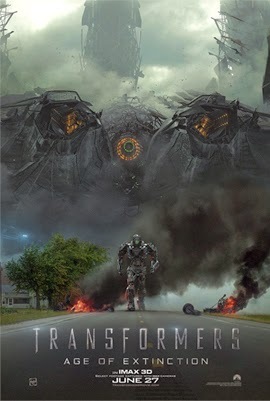 This is the fourth installment of the Transformers film series and this time starring with Mark Wahlberg as Cade Yeager, a single father and struggling inventor in this film and Nicola Peltz as Tessa Yeager, Mark's daughter. This is also the first time to features the Dinobots, a set of robots that transforms into mechanicals extinct animals. Of course the film is not complete without the cast of Optimus Prime, Bumblebee and Ratchet. The film is set for release on June 27, 2014, in 3D. Below is the official "Transformers: Age of Extinction" teaser trailer which already receives 15 million hits and counting in YouTube. The trailer is also first seen at the Super Bowl XLVIII.